Questions are places in your mind where answers fit. If you haven’t asked the question, the answer has nowhere to go. It hits your mind and bounces right off. You have to ask the question,you have to want to know,in order to open up the space for the answer to fit. via 37Signals founder Jason Fried paraphrasing Clayton Christensen. Beggars can't be choosers! If you'd rather be a chooser, enter a market or a transaction where you have something to trade, something of value, or something to offer that's difficult to get everywhere else. If all you have is the desire to get picked, that is not sufficient. In the Front Half of Innovation you learned how to create ideas. To find an idea that you could build a business around or offer a new solution to customers of your employer. How do you get to be a “chooser”? Create a barrier to entry to your market. In early 2011, Apple filed a complaint against the Korean company Samsung, claiming that 28 Samsung devices infringed on Apple's intellectual property -- including a so-called design patent for a rectangular slab with rounded corners. Kodak recently sold off all of their digital imaging patents for a total of $525 million in order to help pay off chapter 11 bankruptcy bills. Big, huge companies are created from patents! Kodak is an example of a company that failed to exploit the commercial opportunities of their patents and demonstrates that there is more to running a successful business than just having great ideas. To get you started I highly recommend that you watch this video from the Khan Academy: Accounting class I also recommend that you download the Bootstrappers Bible by Seth Godin. Find a copy here: BootStrap Another great source: 57 startup lessons by Slava Akhmechet One more recommendation, subscribe to the The Wall Street Journal. You are in business, read about it! The WSJ has student rates, an Asian edition and “The Accelerators” section where all things important to small business and start-ups are discussed. 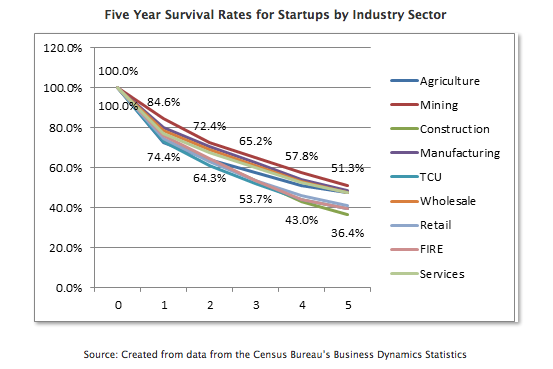 Depending on the business you have a 50% chance of surviving 5 years. What are the causes of failure? Here is a video, Richard White - An Entreprenuership Tale, describing ten years of life as a start up. Tips from Sequoia Capital’s recipe which has been formed with their own ingredients and flavored by thousands of experiences. They want to find founders and management teams with ideas and companies where there is the chance for us to be shareholders for ten or fifteen years. From Innovator of the Year 2012 | Technology, WSJ. Twitter emerged from Jack Dorsey's teenage obsession with the unruly urban tangle of his hometown, St. Louis. He would spend hours eavesdropping on the radio chatter from local ambulances. They would announce where they were and where they were going, he recalls, and I realized I could make a computer program that would plot their routes on to a street map. Before he had even turned 18, Dorsey managed to transform this effort into software capable of simplifying the whole dispatch process. He set about searching the Internet for the largest dispatch company in the world. When he found it, he quickly hacked into its corporate servers, sent a note to its CEO's unlisted e-mail address (both announcing the security breach and asking for a job) and then moved to New York to become its lead programmer. This work eventually fed into the creation of Twitter which allows vehicle fleets and regular people to broadcast instant status updates, with no need for specialized equipment, across the globe. A man of widely varied interests, Dorsey is a genuine eccentric—not a mere collector of affectations. He treats his obsessions more as callings than as hobbies. When young, he studied botanical illustration under the tutelage of a master at the Missouri Botanical Garden, gazing for hours at the contours of ginkgo leaves. He later became fascinated by bespoke denim and enrolled in fashion design classes. Life is found in the intersections. Our work is one of balance. We mix disciplines to improve our work. And I can guarantee that if you don't feel like giving up today, there will definitely be days when you do feel like giving up. Which brings me to the most important, most concrete, most useful piece of advice in the whole manifesto. Simple, but indispensable: Don't give up. Surviving is succeeding. You're smarter than most people who have started their own businesses, and smarter still than those who have succeeded. It's not about what you know or even, in the end, about what you do. Success is persistence. Set realistic expectations. Don't give up. You need to be in the game to score! Perhaps the greatest factor that determines whether or not an entrepreneur will be successful isn't the business idea itself, but rather the entrepreneur's willingness to try (and keep trying) to turn the idea into reality. Great ideas are abundant, but it's what we decide to do with them that counts. A visual of independence that I hold in my head: a lone hiker at the summit of a great mountain. From this height, she is able to look back at the obstacles she has overcome; the challenges she faced and the solutions she generated in order to circumvent them. She had many opportunities to rest, and there were some switchbacks taken, some shortcuts that turned out to be dead ends, but her vision of reaching the mountaintop was the fuel that kept her going when it would have been easier to turn back. There may have been other climbers along with her that would encourage her to do so, saying, “You’ve come so far! You’ve already achieved so much. You should be proud and happy of doing so well.” Persistence and belief in her goal are the keys to her blasting through those well-intentioned thoughts and attaining the summit. “…But the moment you turn a corner you see another straight stretch ahead and there comes some further challenge to your ambition.” ~ Oliver Wendell Holmes, Jr. This quote reminds me of a movie reference from Cinderella. Two intrepid mice, Jaq and Gus, get the key to Cinderella’s room from the stepmother only to face a mind-numbing spiral of stairs to reach the top of the mansion’s turret, where they plan to free Cinderella. It was not going to be easy to continue. Sometimes, we work so hard toward a goal that when we finally achieve it, we are dismayed to find that it is merely an intermediate goal. Upon “succeeding,” we are faced with yet even more challenges. It can be very easy to feel discouraged at this point. That is precisely why, at this time, that we must review our ultimate goal, our motivations for achieving it and refresh our vision of what it will mean for us to realize it. We must begin again, refocusing and persevering until we finish what we started. That is the way to independence. On March 12th, 1973, founder of FedEx, Fred Smith secured just seven packages for the first night's run. He sent his salesmen back into the field, more than doubled his network to 25 cities, and re-launched the service a month later -- this time handling a grand total of 186 packages. Smith was so desperate for cash that he flew to Las Vegas to play the blackjack tables. He wired the $27,000 he won back to FedEx. Needless to say, Smith's persistence paid off. Zappos CEO Tony Hsieh: I haven’t looked at a résumé in years. I hire people based on their skills and whether or not they are going to fit our culture. You might argue that the notion of a human business is a category error. Organizations are bureaucracies at their core, and it is hard to think of any formalized collective human endeavor, and especially any business, as being free of rules, structures, and processes. After all, these factors are what ultimately makes corporations (and nonprofits alike) reliable and trustworthy, and grants them their authority. Consequently, there appears to be a fundamental chasm between individual human behavior--which is expansive and multifaceted, ranging from the rational to the wildly irrational, sentimental, and unpredictable--and the design of organizations: rational, practical, results oriented, and engineered to perform consistently..
With empathy as the foundation, the evolutionary biologist Mark Pagel contends that we owe our success as individuals and as a species to our “social mind,” defined by our ability to form cultures. He considers it the vehicle for social learning and cooperation with strangers in the context of “mutual aid communities.” These communities are based on trust and like-mindedness, that is, familiar mores, traditions, and customs as well as shared values. Culture is key for collaboration, which is why it is such a fundamental asset to every company. The Online retailer Zappos says it “competes on culture,” and Nike, Starbucks, and Virgin have all created distinct narratives and tribal identities that turn their brands into movements. Grant McCracken even demands a chief culture officer in every organization, and companies such as Google, Eileen Fisher, and Affinity Lab already have one in place. Are you trying with all your might? By this I mean, are you trying with everything you’ve got—your mind, your heart, your muscles, your esophagus and all your forgotten obscure organs? If the answer is yes, then you can skip to the next question; you already realize that the most reliable path to glory is base brute effort. If the answer is no, then you need to decide why. Is it the project that is stopping you (you just don’t want to give that much on, say, making homemade soy candles) or is it your fear of being humiliated if you fail, having openly and fully used all of your resources? In the case of the former: You need to find something else to pursue. Pele perhaps the greatest scoccer player of all time. "I don't believe there is such a thing as a 'born' soccer player. Perhaps you are born with certain skills and talents, but quite frankly it seems impossible to me that one is actually born to be an ace soccer player. Success is no accident. It is hard work, perseverance, learning, studying, sacrifice and most of all, love of what you are doing or learning to do. Everything is practice." To quote Merlin Mann, "You don't let the guy with the broom control how many elephants are in the parade." Every Amazonian is guided by these principles. Why do some people produce ideas? By produce I mean bring their ideas to fruition. Could it be Education, DNA, Environment, all the above or a combination or some other secret ingredient? Two people recently in the news interest me due to a common trait, persistence. The first is Brian Drucker M.D. the researcher behind the drug Gleevec. He is one of three winners of the "American Nobel Prize" for the development of molecularly targeted treatments for chronic myeloid leukemia, converting a fatal cancer into a manageable condition. He started his work in the 1980's and in 1996 he began phase one trials. He discovered the trait that made the difference for many suffering from CML; perseverance. He is quoted saying" I think I am more perseverance than smarts. There's a basketball player who says, "hard work beats talent when talent doesn't work hard." Well, I work hard." The other Dr. Rita Levi-Montalcini, a Revolutionary in the Study of the Brain, recently died at the age of 103. She started working on cell growth in 1936. A neurologist who discovered critical chemical tools that the body uses to direct cell growth and build nerve networks, opening the way for the study of how those processes can go wrong in diseases like dementia and cancer. She shared the Nobel Prize in 1986; yet another example of the power of persistence. Cost accounting is often used within a company to aid in decision making, financial accounting is what the outside investor community typically sees. Cost accounting can be most beneficial as a tool for management in budgeting and in setting up cost control programs, which can improve net margins for the company in the future. For example: If you are making two different widgets in one plant how will you determine the amount of utility costs to allocate to each widget? An important discussion if you want to insure you are not losing money on every widget you sell. There are cost accounting classes offered at both the undergraduate and post-graduate level. When we look at brands through a cultural anthropological lens, it becomes more discernible as to why consumers tattoo themselves with the Harley Davidson or Nike logo in permanent ink to proudly claim membership of a tribe; sprinkle the rim of a Corona bottle with sea salt and insert a lime wedge to flavor the beer; never mind paying $2.59 for a cup of Starbucks when they can brew coffee at home for $0.07/cup. As we move into the consideration of symbolic perception, our concern with fields, organizations, and relationships shifts our framework of brand discourse to approach brands as vessels of symbolic meanings that evoke personalities and emotion through myth, rituals, symbolism and ethos. Brand is a noun. It is a verb. It may be about what we do. But, overall, it is all about what is in the mind – the mind of the consumer and the mind of the employee. The term generally accepted accounting principles (GAAP) has a specific meaning for accountants and auditors. The American Institute of Certified Public Accountants (AICPA) Code of Professional Conduct prohibits members from expressing an opinion or stating affirmatively that financial statements or other financial data “present fairly…in conformity with generally accepted accounting principles,” if such information contains any departures from accounting principles promulgated by a body designated by the AICPA Council to establish such principles. If you are not familiar with GAAP hire an Accountant. Ask him or her for advise on how to set up your company. What you need to satisfy legal and tax requirements. This is important! 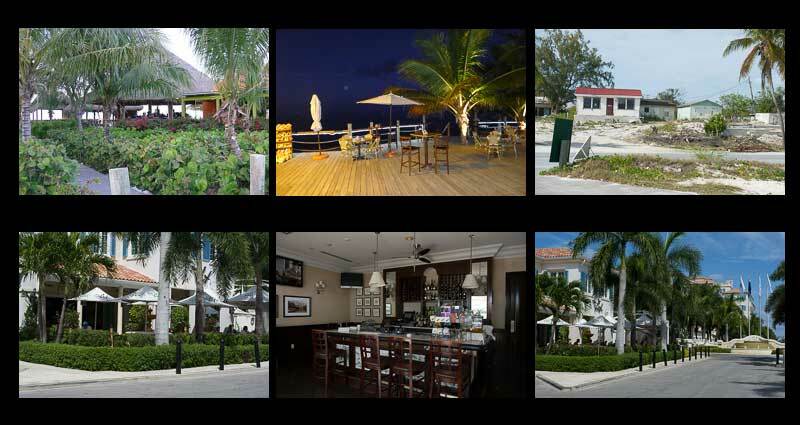 The above photos were taken of two restaurants with unique location issues. The restaurant in the top series is located looking out onto a beautiful beach, hard to find, located away from foot traffic, and in an old neighborhood with lots of trash. This restaurant was purchased by two partners from Chicago and they were struggling to gain customers. On row two is a different set of locations issues. This restaurant is located in an area with foot traffic, near beautiful hotels, many nearby competitors with no view of the tropical landscape. This restaurant was always half full of customers. Both restaurants have marketing strategies that need to be tailored to over come or complement their location. A location issue with a different twist occurs due to on-line search engines. Where do you want your company located on Google's front page when a potential customer searches for your product or service? Is the second or third page good enough? Retail locations are chosen based on search as well, which explains why gas stations and retail stores are often “clumped” together. Consumers learn the location of a product and organize their mind accordingly. While you may not remember the name of all three gas stations on the same corner, your mind tells you that is where to go to find gas. Each station, assuming all else equal, then has a 1/3 shot at your business which is much better than gas stations you don’t visit because the location doesn’t resonate with your minds search. In order to maximize traffic stores must find locations that consumers associate with a product. 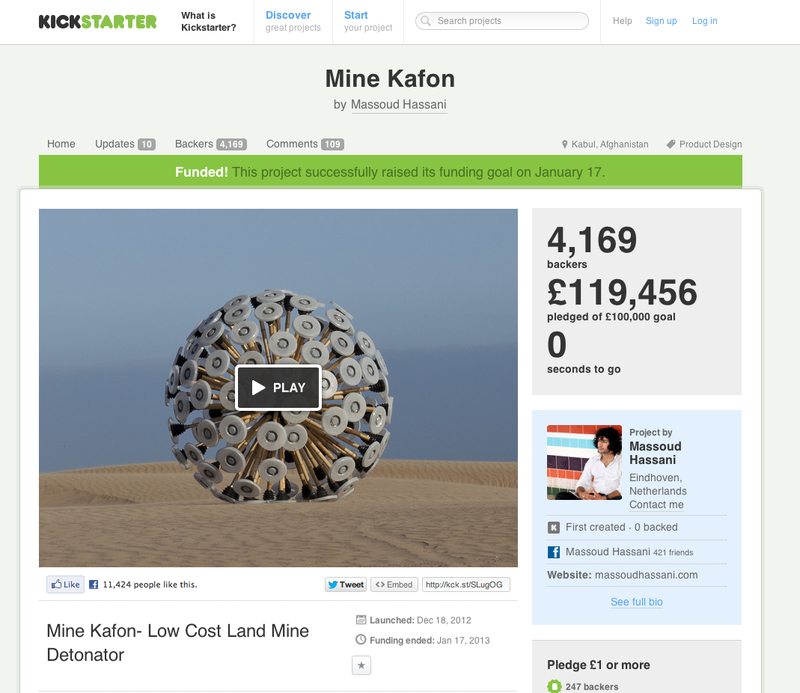 Callum's video shown on Vimeo at Mine Kafon not only won 5th place in GE FOCUS FORWARD Filmmaker Competition but he was also successful raising funds to produce his mine sweeper on KickStarter. The KickStarter site is a great site to visit to study how successful start up entrepreneurs pitch their idea. Compare your presentation to Callum's. In 1974, I started to work at my first professional job and six months later was laid off. I had never heard of a recession. I have circled two recent recessions and the impact on the DJIA. As I write this in March of 2013 the DJIA has just passed its previous historical closing high. Lots of people suffer in an Economic downturn, businesses close, banks, and auto companies have to be bailed out by the government. From this comes new opportunities for growth rooting from new ideas. How do you survive to be ready for these opportunities? A strong balance sheet, good customer base, lines of credit, loyal employees, hard work and faith. When the term “ Enterprise Engineer ” was first used it was an acknowledgment by the Executive team that there were Engineers that failed to understand that they were required to be interested, concerned, and involved in all aspects of the use of the system, subsystem or component they were responsible to design. That includes the function, form, material, cost, sustainability, recycleablity, use, misuse, installation, delivery, smell, feel, and future undefined use. The same requirements apply to the idea you are proposing to build a business around. The business owner, Partner, CEO, President has these requirements plus all the responsibilities that come with hiring employees, tax laws, membership of a community. Indicating you were not aware of your responsibilities will not exonerate you! Why would you want to be an owner of a start up? One word. Freedom! Go back and watch again the video of Menlo. Does Menlo CEO Richard Sheridan look afraid, No! Excited Yes? This is a man that controls his destiny. Are these crazy times? You bet they are. But so were the days when we were doing duck-and-cover air-raid drills in school, or going through the scares of 9/11. There will always be crazy times. So stop thinking about how crazy the times are, and start thinking about what the crazy times demand. There has never been a worse time for business as usual. Business as usual is sure to fail, sure to disappoint, and sure to numb our dreams. That's why there has never been a better time for the new. Your competitors are too afraid to spend money on new productivity tools. Your bankers have no idea where they can safely invest. Your potential employees are desperately looking for something exciting, something they feel passionate about, and something they can genuinely engage in and engage with. You get to make a choice. You can remake that choice every day, in fact. It's never too late to choose optimism, to choose action, to choose excellence. The best thing is that it only takes a moment -- just one second -- to decide. Before you finish this paragraph, you have the power to change everything that's to come. And you can do that by asking yourself (and your colleagues) the one question that every organization and every individual needs to ask today: Why not be great? The PDFs are copyrighted material and belong to the originator. Please do not print them or distribute. They are yours to read only.